Bosnia and Herzegovina (Bosnian, Croatian, Serbian: Bosna i Hercegovina) is a country located in southeastern Europe. It shares borders with Croatia, Montenegro, and Serbia and is completely landlocked except for a short coast on the Adriatic Sea near the town of Neum. 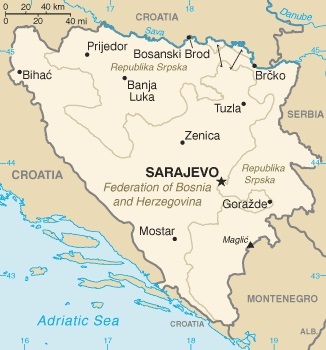 The country is subdivided into two governing entities, Federation of Bosnia and Herzegovina and Republika Srpska. Additionally, the Brčko District (based around the town of Brčko) is a neutral self-governing unit which is formally part of both governing entities. As of 2009, the population of the country was estimated as 4,613,414. The capital and largest city of the country was is Sarajevo which has a population of over 300,000, and more than than 100,000 additional people living in the city's metropolitan area. Other important towns and cities in the country include Banja Luka, Bihać, Bijeljina, Brčko, Doboj, Mostar, Prijedor, Tuzla, and Zenica. Bosnia was devasted by war between 1992 and 1995. The precise number of casualties in the war will probabl never been known, but it has been stated by the Bosnian government that 200,000 people were killed, and more than 2 million people were forced to flee their homes. Today Bosnia faces a number of challenges, including completing the transition from the Communist-era economy, reconstruction after the war (which caused GDP to fall by 75%), and fighting corruption. GDP has however been growing in recent years (with the exception of 2009), no doubt help by the introduction of a new currency in 1998, the konvertibilna marka, which is pegged to the euro. From an expert author who has lived and worked in the region for over two decades, Bradt's Bosnia and Herzegovina is the most comprehensive English-language guidebook available to the mountainous heart of the Western Balkans. It covers the country's diverse Mediterranean landscapes, from the southern Herzegovina cities of Mostar and Trebinje to the lush and green Alpine regions of Sarajevo and Banja Luka, plus second-to-none coverage of the capital city Sarajevo. Now in its fifth edition, not only does the guide feature smaller towns and villages off the beaten track, but it also goes into greater depth than its competitors, with more detail on the history, culture and sights, and more opinionated and entertaining reviews of hotels and restaurants. For this new updated edition, the Sarajevo chapter has been fully overhauled with brand new mapping, and a complete run-down of all of the Herzegovina wineries has been included. There is also new coverage on the Via Dinarica regional mega trail that carves its way through the heart of Bosnia and Herzegovina's Dinaric Alps and is chock full of activities and adventure for families and pros alike. New maps for the country's national parksSutjeska and Una national parks are included, plus walking routes that you'll find in no other booknew town plans of Višegrad and Trebinje. All the regional maps have been completely overhauled. 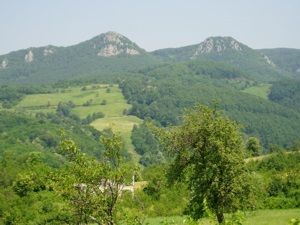 Also included are details of rural accommodation and farm stays within reach of some of the major hubs, plus an expanded chapter on Mostar and Trebinje. Two decades after the conflict that ravaged the region, Bosnia and Herzegovina has emerged as a unique, dynamic tourism destination. Whether you go in search of bears in the primeval Sutjeska National Park, wander the winding streets of Sarajevo's Turkish quarter or put your feet up in Mostar with a glass of chilled ilavka, you are guaranteed to be charmed by the country's rich natural and cultural heritage. This is the first edition of the Komshe travel guidebook to Bosnia and Herzegovina, written and published by travel specialists from South Eastern Europe. 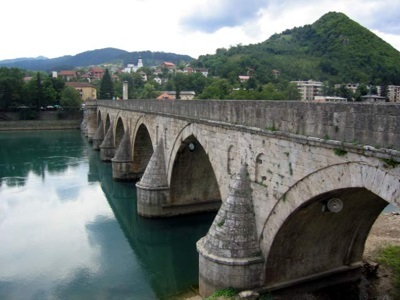 The guide is divided into sections based on 5 regions of Bosnia and Herzegovina (including the capital, Sarajevo), and covering over 100 tourist destinations. The book includes regional and town maps, accommodation tips as well as other practical information. With this guide you can embark upon a journey of discovery through Bosnia and Herzegovina's history, culture, landscapes and cuisine while gaining an understanding of customs, manners and more! Other information and useful facts includes: visa info, health and security, transport, currency, adventure holidays, hiking and mountaineering, winter sports and other important tips for travellers. There are hundreds of colour photos showing you what to expect or to inspire you to go. Of special note are places rarely visited by most tourists - ancient castles, monasteries, national parks and relics of the many civilizations that have crossed or settled in Bosnia and Herzegovina. The guide includes insider recommendations for food, drink, festivals and nightlife. Jörg Heeskens has been living and working across the former Yugoslavia for many years and Bosnia and Herzegovina in Your Hands is the product of his long-standing professional, academic and personal engagement with the country. Are you excited about planning your next trip? Do you want to try something new? Would you like some guidance from a local? If you answered yes to any of these questions, then this Greater Than a Tourist book is for you. Greater Than a Tourist- Sarajevo Bosnia and Herzegovina by Sabanovic Nihada offers the inside scoop on Sarajevo. Most travel books tell you how to travel like a tourist. Although there is nothing wrong with that, as part of the Greater Than a Tourist series, this book will give you travel tips from someone who has lived at your next travel destination. In these pages, you will discover advice that will help you throughout your stay. This book will not tell you exact addresses or store hours but instead will give you excitement and knowledge from a local that you may not find in other smaller print travel books. Travel like a local. Slow down, stay in one place, and get to know the people and the culture. By the time you finish this book, you will be eager and prepared to travel to your next destination. Make the most of every day and every dollar with Rick Steves Croatia & Slovenia. Lonely Planet Southeastern Europe is your passport to all the most relevant and up-to-date advice on what to see, what to skip and what hidden discoveries await you. Explore the castles and mountains of Transylvania, walk the walls of Dubrovnik's picturesque old town and relax on the beaches of southern Turkey, all with your trusted travel companion. Get to the heart of Southeastern Europe and begin your journey now! The Perfect Choice: Lonely Planet Southeastern Europe is perfect for those planning to both explore the top sights and take the road less travelled.